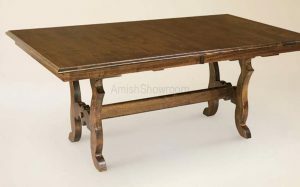 Nobody Beat’s Amishshowroom’s Price for the Simple Mission Trestle Table! 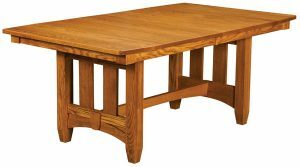 This table is part of our lumber harvest special – Our competition can’t even come close to beating our price! Amishshowroom has truck loads of lumber in stock – we kiln dry and supply selected builders with quality lumber. We pass the savings direct to the consumer. 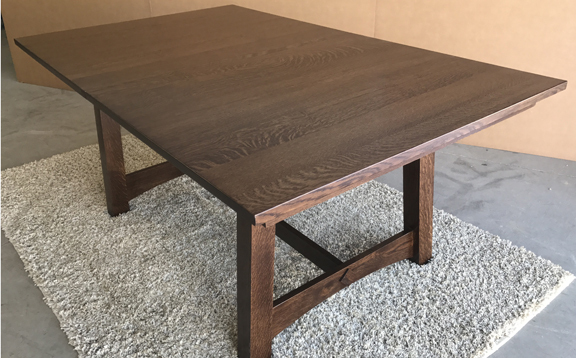 The Simple Mission Trestle table is shown in Rustic Quartersawn White Oak Wood with Earth Tone stain. 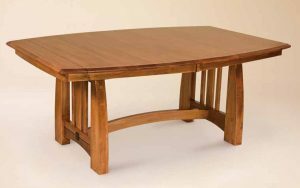 This is a contractor series table that was designed for the Interior Design and Home Builder Community. It has a simple, clean style that commands the space of a room. Three wood types available: Rustic Quartersawn White Oak, Rustic Cherry, Rustic Walnut or B. Maple. 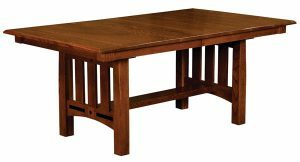 The Simple Mission Trestle ONLY available in a 42×72″ with 4 leaf that self-stores. Each leaf is 12″ wide, this will give you a 10’ long table to seat approximately 12 guests. The leaves will all self-store inside the table. It comes standard with a geared slide. 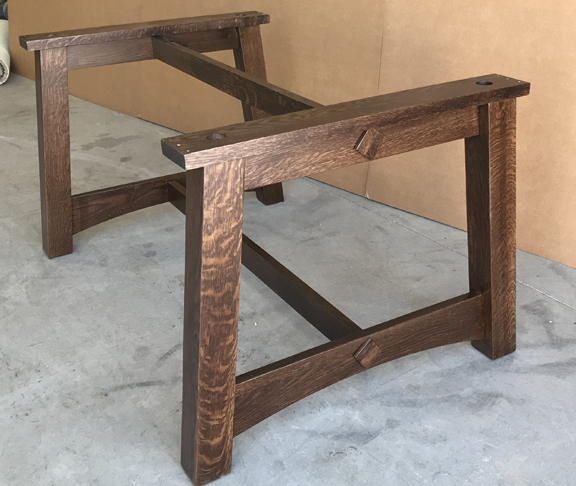 The base trestle is designed for you to place 2 chairs between the posts. There is enough knee space at the end of the table for you knees with no leaves in the table. The 2″ diamond inlay on the bottom of the base is metal and comes standard. 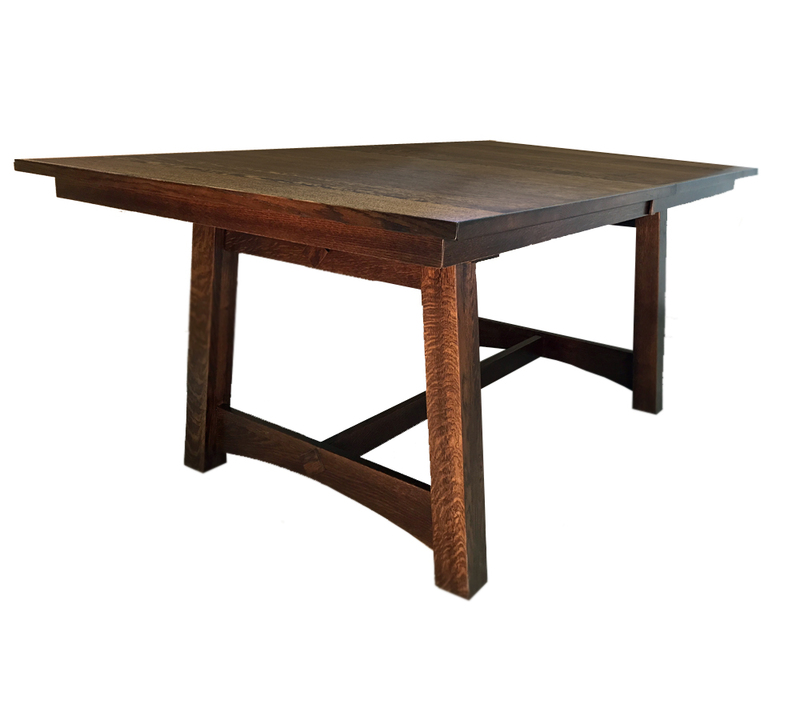 The top is 1″ thick and the entire table is built from solid wood.